Several Swedish tech companies have enjoyed considerable success in recent years, with Stockholm being tipped as one of the “hottest start-up capitals” in Europe by Wired. The music-streaming platform Spotify was developed in Sweden and so was the innovative e-commerce platform Tictail. The Economist writes that Stockholm is an attractive destination for tech tourists because its “start-ups combine hardware, software and online services”. That is something Martin Källström’s Narrative has managed to accomplish in little over a year. 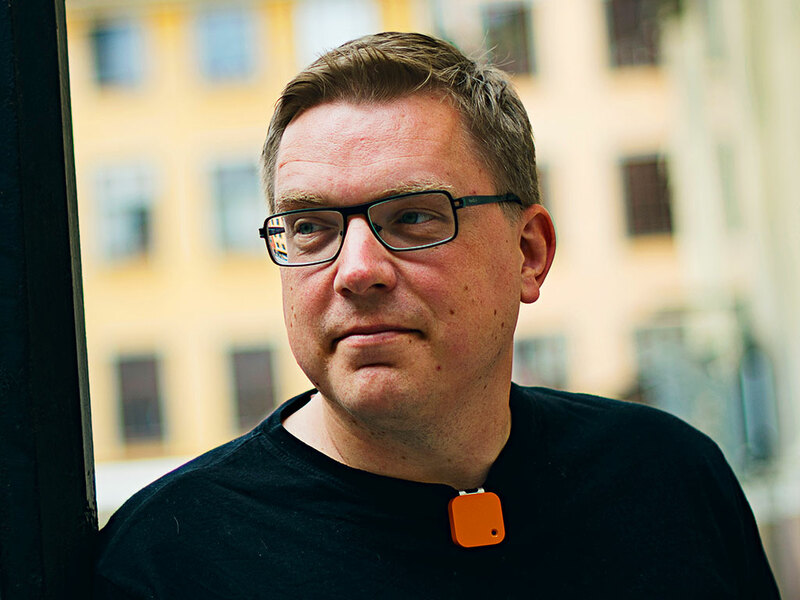 Källström is a Swedish, aikido-practising, self-proclaimed “serial tech entrepreneur”. He studied an MSc in Computer Science at Linköping University in Sweden, before working as a programmer at Framfab, a Swedish e-consultancy firm. This was to be followed by a year-long stint in Tokyo between 2000 and 2001 where he worked as a freelance graphics and web designer. His studies and relevant experience allowed him to provide freelance services ranging from web design to illustration, usability testing and evaluation as well as flash animation and programming. The Narrative CEO is no stranger to tech start-ups. He has worked as an advisor at the recently launched Blippex, a search engine that only indexes web pages that have been seen by real people. In 2006 he founded and served as CEO for the popular blog search engine Twingly, before stepping down in 2012. He was replaced by Peter Bláha, a Swedish TV personality from Gladiators and a member of the Swedish national rugby team. Twingly has over 100 clients in around 16 countries and acquired rival Bloggportalen in January 2012. The platform mines blog data in order to provide an insight into what the public are saying about their clients products or services. “I thrive in uncertainty. I’m an entrepreneur because I love the unknown, and Twingly is today a profitable and predictable business,” wrote Källström, announcing that he was stepping down. He spoke of how losing his parents to cancer as a young adult encouraged him to pursue his goals. “When you lose your parents, you realise that you don’t live forever. It has definitely affected me in my entrepreneurship. I can’t wait until later to fulfil my dreams. I have to live my dream now,” he said in a statement. Due to a trademark dispute with Google-owned Motorola, for using the word moto, the company was forced to rebrand and the name was changed to Narrative, but according to its CEO, the name ties in well with what the company actually does. “Narrative feels like the name that was out there waiting for us all along. It encapsulates, crystallises and clarifies what we have been working on all the way: helping you effortlessly capture and tell the stories of your life,” said Källström in an open letter. A Kickstarter campaign was launched to raise funds for the fledgling start up with a goal of $50,000. 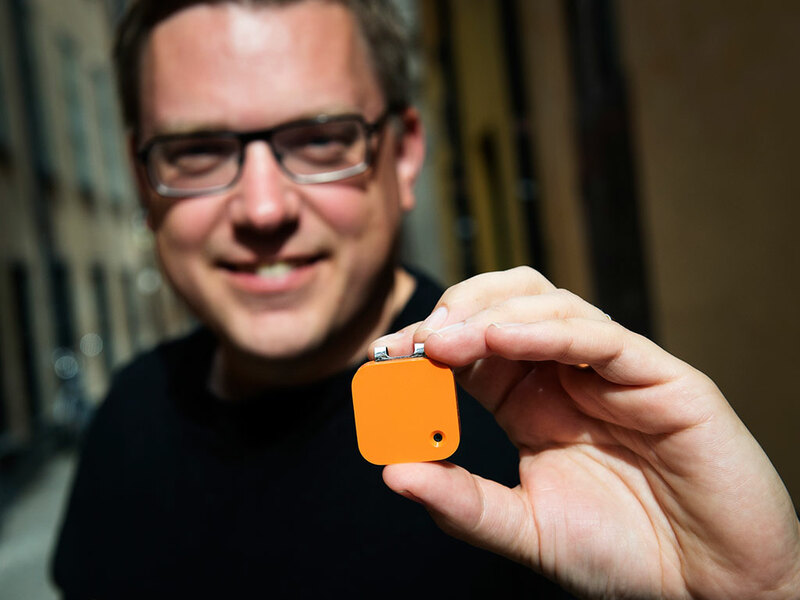 Thanks to extensive media coverage and engagement with supporters of the quantitative self and lifelogging movements, the target had been reached within five hours. After a month, over $500,000 had been raised by 2,800 backers. “Of course, you always dream that your product will have an impact like this, but we were blown away that we received so much support from the community in such a short time frame,” said Källström. “We are so grateful to the Kickstarter community and inspired by their engagement with the Memoto project.” Following this phenomenally successful crowdfunding run, the project received a cash injection of $3m from San Francisco-based True Ventures. Established in 2005, the tech investment firm has backed other hardware, software and web ventures such as Academia.edu, BandCamp and the 3D printer developers at Makerbot.